Chain, lace and hardware make this necklace a beautiful rustic addition to your accessories. 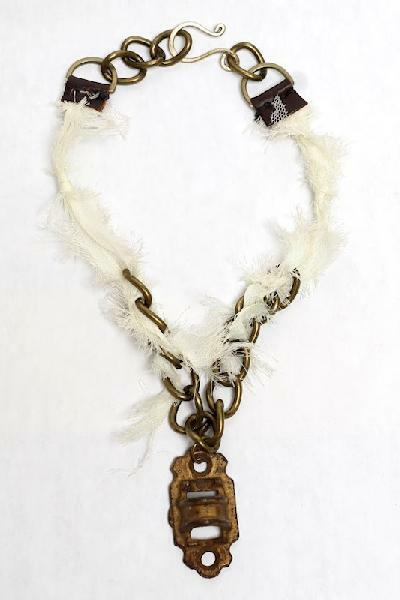 Pendant is an ornate door bolt found at a salvage shop in TN, with lace braided into upcycled chain and latched with a handmade hook. A piece that says both bold and interesting.